There are spoilers in this essay about the French film Le temps de l’aventure, also known as Just A Sigh, which I viewed on DVD without the benefit of English subtitles. And so you should be warned. If you have seen the film, then you will understand where I am headed in this analysis. If you have not, perhaps you should come back later once you have. I find it impossible to discuss the film without sharing some of its most intense moments. So now you are warned. This film evoked so many feelings in me. It touched my heart and my soul. I can’t remember feeling so many different emotions at one time while watching something on a screen. Wait. Oh yes, I can. And the same actor was responsible, as it happens. There may be parallels between the characters of Paul Weston in In Treatment and Douglas in Le temps de l’aventure and I could probably write an essay on this topic. But what these two characters actually have in common is Gabriel Byrne. And whatever it was he did when he played Paul–and I’m still trying to figure that out–he accomplished once again in this new role. Only this time he condensed it, boiled it down to its essence, and created something so intense, so strong, so unforgettable that I have still not recovered from it. 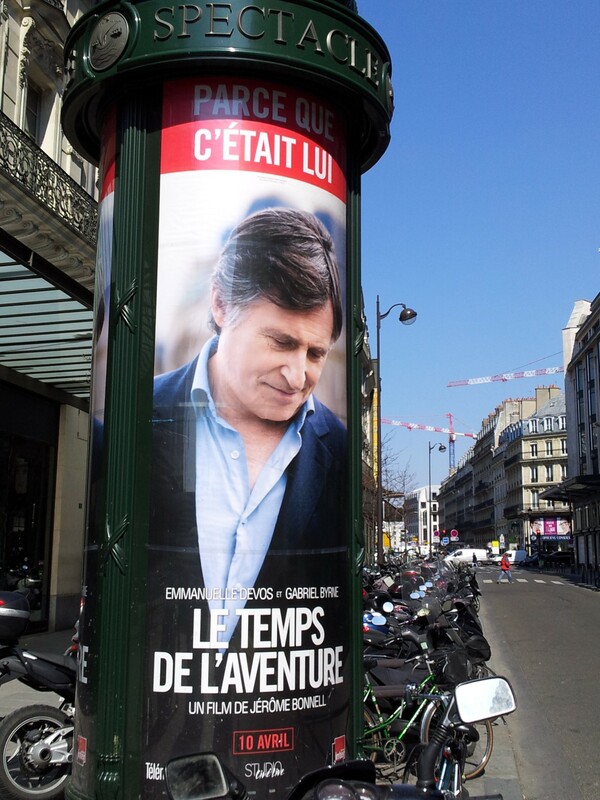 Le temps de l’aventure is primarily a duet, with two gifted and sensitive actors in the lead roles. It was choreographed and conducted, as Gabriel Byrne describes it, by an imaginative and very focused writer/director. The cast, the director, and the film deserve their own review. Here I will focus on one player and one character in this touching and tragic romantic fantasy that broke my heart over and over again. There is a lot of Gabriel Byrne in Douglas, the character he plays in the film. I do not know how he got there, but he did. Because it was very ethereal in a way, he was almost like a ghost, I felt. So, how do you act being a ghost? I tend, as an actor, and I don’t mean this to sound pretentious, but I tend as an actor to work on instinct. So my instinct was: it doesn’t matter whether the audience perceives him to be real or not real. Because the story takes place over one day, every moment of that day counts. It doesn’t really matter, in a way, what comes before it and, in a strange way, it doesn’t matter what comes after it, because that’s where the audience concocts the beginning of the story and where the story might end. But while the film is happening, it’s over those hours, when an entire life is lived in one day. So, to be absolutely in the moment, and to not, in a way, carry any narrative from the past and not have any expectation of the present. So it was different from the way you normally approach a character…In terms of the acting of it, it had to be moment to moment with Emmanuelle. I tend to think about it. I’m one of those people who believes in the unconscious. Writers will sit down to a page, a blank page, and they’ll start to write and sometimes they’re amazed at where the narrative came from. And it’s true also, to a certain extent, of acting. You can do research–but I find when you think about it, you let it dwell in the unconscious, your life experience will produce certain thoughts about it. And that’s kind of the way I work. And if the script and the director and the other actors are good, well then. You just have to surrender to them. I didn’t write the male part with any particular actor in mind but when it came to the casting, of course Gabriel Byrne was the first choice for this English professor. Apart from his immense talent, he is one of these actors who can tell a story with a single glance before he speaks a word. A big secret surrounds him and at the same time a deep sense of trust. Offering him the role of the stranger on the train I could perfectly imagine a woman following him though she knows absolutely nothing about him. It was interesting. He had an approach to the part where he lived it all the time, and he was suffering a lot. He said that he couldn’t imagine anybody else playing that part but him. It is a cliché. Actors lie–it was Diderot who put it in people’s heads. Absolutely not. Players, when they play, are closer to the truth… Of course, this is not our life, our history. It is still our words, our feelings. To tell you, when I was shooting this film, I thought…“I will die …” Because it put me in a state … I feared a heart attack. 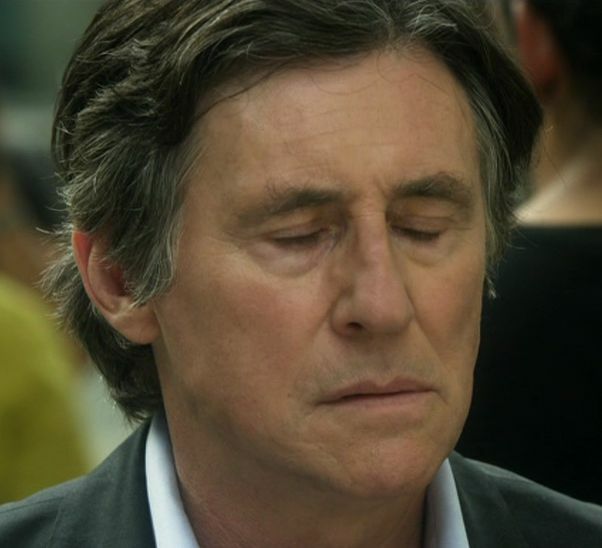 All the scenes with Gabriel Byrne, my heart beating, beating, as when you fall in love with butterflies in the stomach. The feeling of love, something bigger than me grabbed me completely. So, his partners in this romantic fantasy see Mr. Byrne in specific ways and they recognized him to be perfect for the role. But if the role is that of a ghost, as he asserts, well then. How do you play a “ghost”? I am not suggesting that Mr. Byrne portrayed himself in this film. He is an actor. He plays characters written by others. It can be noted, however, that, despite his desire for privacy in his personal life, he seems to be drawn to roles that require him to be self-revelatory, that connect with him on a personal level. This is ironic, perhaps, but the impulse is our gain. At the beginning of the film, the Douglas he crafts has a distinct British accent. He is professorial in his appearance: neat hair, clean-shaven, suit and tie. This Douglas has an austere quality, his manner quiet and gentle. An academic, yes, but with an added air of muted refinement–no frumpy professor. As the film progresses, we see more facets of Douglas, in response to the woman he meets, but at core he remains controlled, restrained, and elegant. So the exterior vessel is a construction, as we can see. But Mr. Byrne is a truthful actor and that means putting aspects of himself–his life experience, as he says–into play in this particular kind of art. And if one is playing an empty vessel, albeit one with an elegant exterior, a “ghost,” as he suggests, then what is there to fill up the emptiness except oneself? 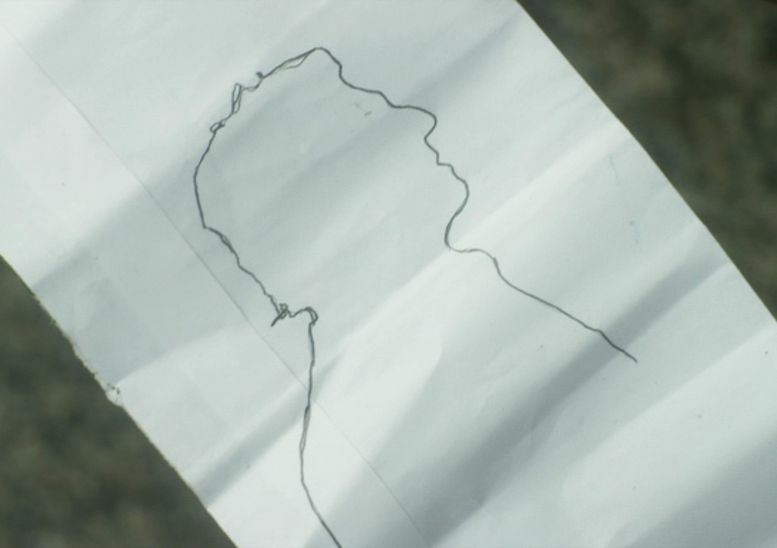 The outlines of the role and the beginning of the fantasy are laid out: a professor, at a painful time in his life, meets a younger woman, Alix, played by Emmanuelle Devos, on the train from Calais to Paris. We already know something about her: she is in a state! And she seems to be his opposite somehow. Yet, she awakens something in him. He responds. The fact that he responds is not miraculous. He himself arranges the possibility for it. He wants it. We know this because we watch him create a trail for this young woman to follow, if she will, and he knows, along the way, that she will indeed. In their very first encounter on the train, this apparently quiet man, silently enduring some unknown pain, maintains the eye contact that she initiates. He does not hide his tears and then he does not hide his interest in her. His gaze is intense and unblinking. What is he seeing? He is watching her sleep. Already they have shared a double intimacy: tears and slumber. And he makes the first overt connection by asking her for directions. He does not approach anyone else on the train. He wants her to know where he is going. He expects her at his hotel room door, his tie and coat already on the chair. He knows she will follow. And yet, later, he must ask her. Because you seemed sad. Because I wanted to. I didn’t follow you. I went and found you. It’s very different. So, she has found him. But what has she found? A ghost? No. 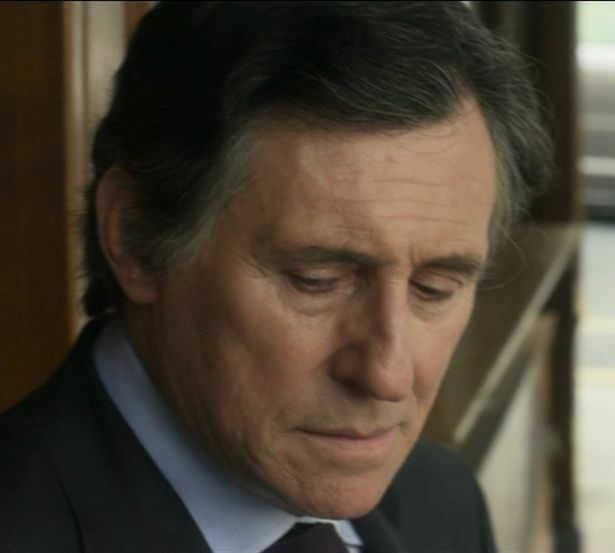 Gabriel Byrne has a public persona, as one would expect of an actor who writes books and book reviews, produces films, supports causes, and speaks out on issues of importance to him as an individual. Those of us who have watched his interviews, read his book and other writings, seen his films, and listened to his passionate speeches about culture and history know something of this persona. How did he use this persona in the creation of the character of Douglas in this film? Did writer/director Bonnell build all of these aspects into the character as he was writing him? Or did the fit between actor and character become so close, as Mr. Byrne describes his method of working, that the alchemy of becoming someone else could result in revealing oneself? I don’t know. Here is what I do know. Gabriel Byrne loves to tell a story. And he believes that sharing stories is a critically important component of any culture. Story-telling is a way to connect to another person and a way to share truth, he has said. The meeting of Douglas and Alix at the entrance of his hotel provides the first story in the film. “When I was 5 or 6 years of age, in Maidstone…” Douglas begins and we see him delight her with a story that not only instructs but helps her feel less vulnerable and afraid. He tells another story later about his lost love which opens a way for the two of them to share more and engenders her trust–she can see that he is a man who feels deeply and who has loved deeply–and then, finally, he makes it possible for her to tell her own story. 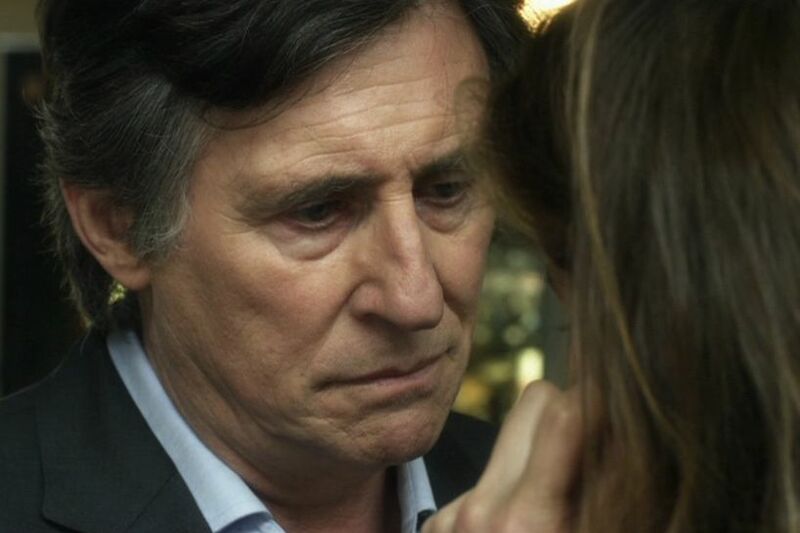 We have experienced Gabriel Byrne being vulnerable and shy, in interviews on film and in print. We’ve seen him overcome this when it mattered to him. In the film, his character turns away from Alix after they first touch physically and he moves to stand before the hotel room window. He has admitted, as she has, to feeling scared and now he separates himself from her. But she will not have it. Her response to this vulnerable man standing almost helplessly before the open window is warmth and compassion. And her overture succeeds. They connect at last. We know that Mr. Byrne has the ability to express emotions without the need for words. We have seen him do this many times in other roles. There are so many examples of this art in the film that it seems overwhelming to choose only one, but there is a scene outside, in the streets of Paris, during the music festival, in which his character and Alix are listening to two young men play Alpine horns. The music is haunting, to be sure, but suddenly we are presented with the face of Douglas, who has become quite still and whose face displays an array of emotions that indicate the turmoil he is experiencing: sadness, regret, loss and yes, love, and loneliness too, are all there, sliding by, as Douglas becomes a pinpoint of solitude in the hubbub all around him. It is an astonishingly powerful and touching moment. Have you ever seen Gabriel Byrne laugh? He puts his head back and, with a sense of abandon, just laughs! Despite his reputation as a dramatic actor and all that seriousness, he has a good sense of humor and he uses it well. This film is full of humor (especially surrounding Alix, which is why some call it a “dramedy,” I suppose), but the best humor is based on the shared experience of these two people. Humor to lighten the tone, to deflect, to dissemble. And also to engage. To laugh at their shared predicament. To stop tears. My favorite example: at the cafe, in the midst of their shared turmoil, Alix touches Douglas’ arm and looks at his watch. She is thinking of the train she must catch. “Are you going to turn into a pumpkin?” he asks in a soft, almost lilting voice, and even in the dark you can see his eyes sparkle. He displays a delicate grace here as well. More on this later. In the last decade or so, Mr. Byrne has exhibited an empathy for others and a desire to understand that is profound. He has taken us along on some of his quests for meaning and enlightenment; some of his journeys are private. Douglas, too, is capable of empathy. After their second physical encounter, Alix tells her story. She is full of emotion but also thoughtful. He is so responsive to her words. He listens with care, he counsels, he tells her what he knows. Not what he feels about her, but what he knows about her. They are connected now in a way that moves the film from simple romance to a deeply emotional love story. How is all of this possible, in one day? The empathy of which both characters are capable makes it possible. Douglas: What are you afraid of? Alix: To lack courage. To lack serenity. Douglas: Nobody expects you to have serenity. And as for not having what it takes, I know that you have more than enough. You’ll be happy. Douglas is a professor of literature. He is not an engineer or a businessman or a lawyer, although any one of these could be intellectually rigorous and philosophically-inclined, of course. But his training and one presumes his passion focuses on the words and meaning of others and ways to include them in the prism with which he views life. Gabriel Byrne is a well-educated man who has read widely and who writes and speaks out about the things that matter to him. There are many examples of this. He might not call himself an intellectual, but we have seen him at the podium, in the spotlight, speaking intelligently and thoughtfully. We know he feels at home in the room with the closed door, writing. We’ve seen this. So when his character, Douglas, says goodbye to Alix and leaves her with a philosophical statement: “We’ll do better in another life, with other gods to watch over us,” such a lyrical and deeply-felt affirmation does not seem strange at all. There is nothing sentimental about it. It is an expression of love and hope. And Alix responds in kind: “This life is long, isn’t it?” And all Douglas can do is nod his assent. Douglas: Actress! You’re an actress. You see, now I don’t know whether you’re telling lies or telling the truth. Alix: I could say the same thing to you. Douglas: No, I say it because you’re an actress. Alix: I said it because you’re a man. Alix: Answer a cliche with a cliche. And the look he gives her then is one of surprise. He has a new understanding of her now and he sees her differently. Doug: Today’s a painful day. I’m not very good at pain. And when, much later, standing outside, listening to a raucous band playing very spirited music, Gabriel makes his character’s loneliness and pain in the midst of all this celebration unequivocal. He is alone and he knows it and it is becoming clear to him that this will not change. She is standing right beside him but it does not matter. He also manages to project an acceptance that this is what it means to be human, to be alive–we are alone, even when faced with the possibility of connection. And there is the beginning of a desperation in his eyes. Douglas expresses an intriguing physical duality: he seems uncomfortable in his own body, yet he possesses a physical presence that emanates from him in a powerful but controlled way. He is masculine and sexual, but seemingly unaware of it. He wears a shirt in bed in the beginning of the story and offers a flippant reason why. We see the other side of him in the scene in the cafe again, when he kisses Alix with so much passion that her head spins and she can only ask “What’s happening?” The desire and the tension that come rolling out of him are overpowering. So Douglas controls himself, with the reserve and the restraint that are the core aspects of his personality. Where is Mr. Byrne in this? It cannot be easy to portray such passion on screen and to be truthful to it. A series of complex and delicate emotions played out with one’s physical being, in the moment, before a camera–the magic and skill that is being brought to bear here takes my breath away, too. 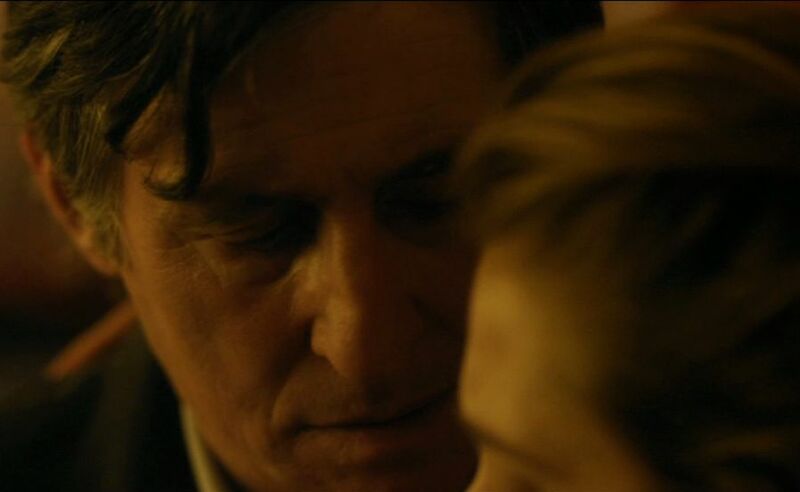 Finally, we come to an aspect of Douglas, and of Gabriel Byrne, that is elusive and yet central: grace. In the early reviews of the film after its showing at the Tribeca Film Festival, this quality was described as “tragic dignity,” “playing the compassionate listener with rigor and elegance,” and “all restraint and elegance.” Chekhov defines grace more concretely: “When a person expends the least amount of motion on one action, that is grace.“ And when you watch Douglas throughout the film, you will see that there are no wasted gestures, no useless movements. Every motion has a purpose and an end, a meaning intrinsic to it. Deliberate, thoughtful, considered–and yet there is a sense of deep emotion constantly being held in check. Reserve, restraint, a gentleness, an inward stillness, gravitas–grace. It seems to me that this is an aspect of Mr. Byrne as well. We have all observed him in interviews and discussions where he exhibits this quality–but he is usually talking with his hands, too! So, it would seem that this is a way to play a “ghost.” And in playing him, Gabriel Byrne made him real and we believe in him, as we come to believe in Alix, too. Mr. Byrne calls this movie “a beautiful fantasy” and something in him seems to want to discount it somehow, as though to take it too seriously would be silly. And yet. By making Douglas real and, as I have tried to show, by instilling aspects of himself into the character, he made him the calm still center of the film, around which Alix flits and flutters, looking for an answer. She turns in the widening gyre, but he is a center that can hold, if she will stop, just for a moment. That she does not is what moves this story into the bleak realm of tragedy–perhaps only just to the edge of it, but still near enough to break our hearts. It is clear to me that it takes a great deal of courage to do what Mr. Byrne has done in this role–not only the courage to “suffer,” as Ms. Devos observes, but also the courage to be so vulnerable, so real, and so exposed on screen. The line between art and life becomes quite pale here; I can barely discern it and yet I know it is there. I am, after all, sitting before a flickering screen in the dark. I am not in Paris, on a train, in a hotel room, on the streets listening to music, looking at my lover’s watch to see how much time we have left to be together. He is so adept at making me empathize with his character, I also find I’m not standing in a plaza in Paris, with music all around me, feeling alone and lost and longing for the woman standing next to me. That is a powerful accomplishment, to create such an imaginative journey and to make it authentic and grounded in real experience. We are very lucky to have an artist who is willing to take such risks. As someone who is interested, not in psychology, but in the qualities of character and soul that make us human, how our experience molds and shapes these qualities, and how we embody and choose to express them in our lives and in art, I want to honor his achievement and acknowledge its strange and wonderful hold over me. Many thanks to all of you who helped me with translations of the text of this film. You can purchase the DVD of the French version of this film at Amazon.fr and an English-subtitled version of the DVD is due to be released soon! Stella, everyone who hasn’t had the occasion to see this picture will be pulling her/his hair out with frustration at having missed this jewel! Thanks for this essay, which makes me want to watch the movie again. I haven’t had the pleasure of seeing this film. I am very tempted to read your essay! Thank you so much Stella for such an enlightening essay, I so enjoyed reading it and it has helped me to understand the characters in the film and in particular Gabriel’s portrayal of Doug. I too have only seen the French DVD (for which I am extremely grateful of having the opportunity of doing so as I know others haven’t been so fortunate as yet) so your explanations of the plot really helped. You mentioned he gives a flippant reason for wearing a shirt in bed, please can you tell me what that is, I don’t speak much French and couldn’t fathom this out. Thank you in advance . Like you this film had totally swallowed me up and I find myself thinking about it and its messages a lot. Thanks again for the brilliant essay. Fortunately, I have friends who speak French and they were kind enough to translate some sections involving Douglas that I had trouble understanding. One of those sections involved the shirt: after he jokes with her about liking her “gregarious” jaw, she becomes serious and says (paraphrasing here): I want to know more about you. His look becomes serious, too, you notice. Then she says (again paraphrasing): Do you always wear your shirt in bed? And he responds with a little laugh: Ah, only with strangers. And you see that look on her face, slightly disappointed, but also with humor at his statement. This is a beautiful touch to add dimension to the characters and their relationship. I can’t wait to get the English subtitled DVD so I can learn more about exactly what is going on with Alix! Absolutely…. true, really, deeply true. And humanely true. I experienced the same. And thank you very much for the beautiful quotation from Forster; all of that set a whole sky, oniric, deep and wide over my head. Truly, madly, deeply true, too! And humanely. I like that, Diane. I also like “oniric”–had to go look it up and I like that word a lot…and I’m glad you enjoyed the Forster quote. He put it in perspective for me. I love “Howards End” … thanks for your comment. Thank you to Jerome, Emmanuelle and Gabriel that have created this wonderful movie. Thank you to Stella. She has written an essay that cover all my thoughts and feelings about this movie, and she has also given me some new aspects to think about. This movie has made a deep impression on me. It has made me think about life and death, and to see my own life in a new perspective. I am so grateful to Gabriel for acting in this movie in such a strong and sensitive way. For me it feels not like acting but like living a life, one intense and powerful day in Paris. I have not felt like this since I saw In Treatment. Nora, I hope to discuss the ideas about life and death explored in this film later, in a more complete review. You are exactly right. They are addressed and, although the touch is light, they are an important undercurrent in this film. And I have not felt this way since “In Treatment” either, which is why I connected the two in the beginning of the essay…thanks for your kind words and I join you in being grateful to Mr. Byrne for his work in this film. You know that my english is not so good but I liked very much what you say here, altough didn’t understand 100%. You have talent for writing too, as Gabriel has. The way you refer to the character and himself too, is special. I can see how much you admire Gabriel Byrne’s work. About the film I can’t tell anything yet, and I ask myself about the word “ghost”. Why this word is to be said several times and why Doug says “in another life” and Gabriel speaks about “fantasy”. Well , I don’t want you explain it, of course. I’ll have to wait to see this film. MeGusta, thanks for your comment. Do not read too much into those words–ghost, fantasy, etc. Mr. Byrne, when he talks about “ghost,” seems to mean that the character had no past and we know nothing about him. So that is what I mean when I talk about “the empty vessel.” This is not a movie about the spiritual world! Well, it is but not really. These people are alive. Don’t worry! I hope you are able to see the film soon. I know you will love it. Oh Stella, your essay has brought tears to my eyes. I have no words. Thank you so much for this. Don’t cry, Angelle. You are welcome, even if tears are the result. And thank you so much for all of your translations during these past months. You and others really helped me to get a handle on this film. Oh, how I wish I had French…too late. You have captured the mesmeric quality of Mr. Byrne’s characterization so, so well. And even without understanding French , you have laid bare the essence of desire, love, longing and loss that the film evokes. I’ve watched the DVD and while the French script effectively exposes the outer turmoil in Alix’s life – Mr. Byrne’s shattering portrayal is achieved mainly through his face, eyes and physicality. A perfect foil. A triumph! LTDL/Just a Sigh is finally being screened outside Montreal on November 25 (Assomption) and December 2 (Terrebonne). I think these are the first screenings in Canada. Trying to get my local arthouse cinema interested. I can translate Devos’ final dialogue with her boyfriend at the end of the film if you’d like….but it may spoil it for you. Well done Stella and mostly well said. If there is something Stella has written that you do not agree about, please tell us what you are thinking about. Maybe we can discuss it here. It is interesting if there are things about this movie that we think different about, when it concerns Gabriel’s work in it. I think Gabriel is just fantastic in this movie, and his ability to express feelings is so unique, that I think nobody else could have done it. Thanks for your kind words. You will find nuances you did not catch each time you view the film. There are layers and textures that become more evident–I think our hearts and minds can only take in so much at one time, so repeated viewings are not so much necessary as they are rewarded! Aww, thanks for the explanation of him wearing a shirt in bed :-) Each time I watch the movie I find something new that I hadn’t seen before. It’s comforting to know that there are others who felt the same way as me after first viewing of the film. It draws you in each time you watch it. It exists on many levels, the pure delicious “eye candy” that is Gabriel and then there’s the serious side to the movie re: how we approach life’s challenges, whether we live for the moment and intense bursts of happiness or settle for a more steady controlled path. Thanks again Stella for an enlightening essay. Yes, Georgina, I’ve watched the film many times now and each time I find a nuance I missed. I hope to address some of the issues you have raised in a more in-depth review of the film, but not until I have an English-subtitled version with which to work. I’m glad you liked the essay. I am also very happy that Gabriel inspires us to think about things and to feel as well! This film has so many layers and textures. I think it is a very special film indeed. Angelle, thanks for this information about LE TEMPS in Montreal! I hope you get the chance to see it on the big screen, although you might just go up in flames, but it would be worth it, yes? I have the translation for the closing scenes. What I want is ALL of Alix’s words–the audition, the scene with her sister, etc. I don’t understand Alix completely and I think knowing what she is saying in all of these interactions will help. So, I await the English-subtitled DVD. And I realize subtitles cannot capture the nuances of the French language, but at least I will know more than I do now! Thanks again and keep the LE TEMPS fires byrne-ing! Thanks so much for sharing this great news, Angelle! I wish you could attend. Seeing Ms. Devos would be thrilling, wouldn’t it? I have about a million questions to ask her and they are NOT all Gabriel-Byrne-related! From what i am getting from this film is that his role is completely different from his other film that features him, which was “Central”. its great to see actor really switch roles and absorb what he or she really needs to do to make a film successful to a great potential. Hi Stella and thank you so much for this essay. 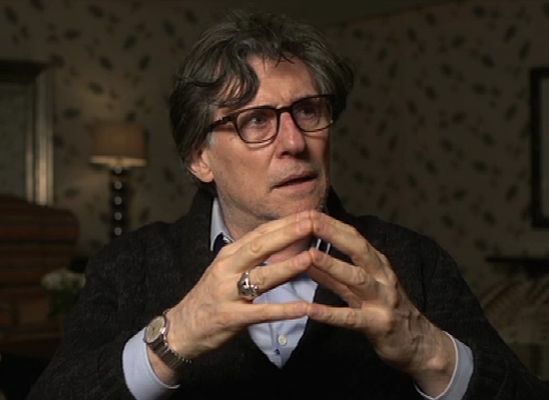 Do you know where we can see the interview of Gabriel Byrne on this film? I love that movie. I watch it each evening since 1 month…. I know this can happen in real life, and what the actors did is beautiful, is real. I read interview from Emmanuelle Devos in which she said she was feeling in live during all the shooting. I really think Gabriel put a parts of him in Doug’s character. This movie is a jewel. Yes, this film is a real jewel! I am glad you enjoyed my essay. There are several other articles here that you might want to read. Type “Just A Sigh” in the Search Box at the top of the page and you will see the list. Just a beautiful essay ! It is excellent. I mean it. I know, I come quite late and maybe you discovered the english subtitles by now but if you didn’t, I just wanted to add that, when Doug and Alix are in bed, just before the shirt quote, she doesn’t say :”I want to know more about you”, but” I am happy to know you”. Many thanks for a great job. You deserve to get the Gabriel Byrne graduation ! This essay is perfect and describes perfectly the movie, the feelings we get when watching this movie.